Inheritance is the process by which ownership of the assets of a deceased person is transferred to survivors. It’s up to the individual to decide who receives specific assets by naming persons or organizations as heirs or beneficiaries. When someone dies without making these preparations, a probate court must determine the wishes of the deceased as best it can and distribute assets accordingly. Either way, beneficiaries don't pay income taxes on inheritances, but the estate may owe taxes. 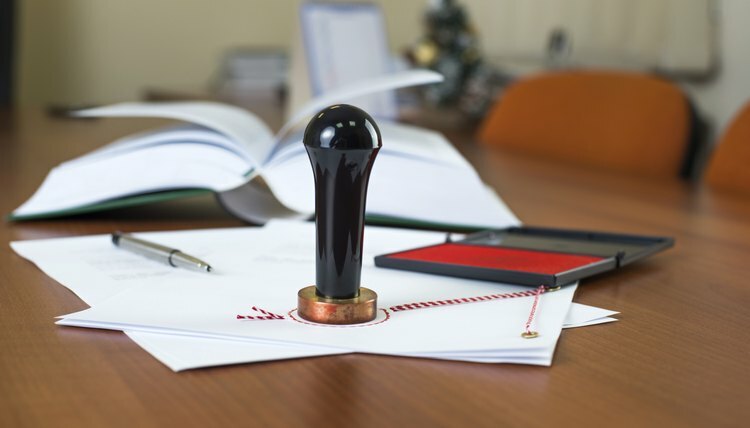 A will must be submitted to a probate court. The court reviews the will and authorizes someone to act as executor. The executor, who is usually a family member or friend of the decedent, pays debts and taxes due out of the assets of the estate. Once these obligations are settled, the executor legally transfers the remaining assets to heirs according to the terms of the will. When there is no will, the probate court appoints an administrator to carry out the executor’s functions and distribute assets according to court instructions. The probate process can take months or years, so many people use alternative methods to speed up the process. This is done by naming a beneficiary for bank accounts, brokerage accounts, stocks and retirement accounts. Assets like real estate, jewelry and personal property can be placed in a living trust with a named beneficiary. When the owner dies, the named the beneficiary must present proof of death to claim the inheritance. Adkins, William. "How Does Inheritance Work?" , https://legalbeagle.com/13652558-how-does-inheritance-work.html. 23 August 2018.